Our Wedding Guest Book Table Candles add elegance to your wedding guest book table! A beautifully lit candle at the entrance of your wedding sets a romantic ambience for your wedding guests! Each candle is personalized with the names of the bride and groom, wedding date and your choice of 10 popular sayings/Bible verses. 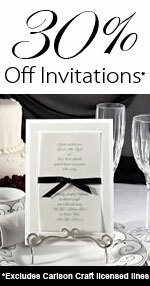 We even have one guest book table candle that you can fully customize yourself with up to 8 lines of personalization! Each candle is dripless and is decorated with Swarovski crystals. Most designs below have matching unity candles and memorial candles!